Krannert Art Museum is screening short films about AIDS activism for World AIDS Day. The films – part of Visual AIDS&apos; Day With(out) Art 2018 program “Alternate Endings, Activist Risings” – include one by VOCAL (Voices of Community Activists and Leaders). 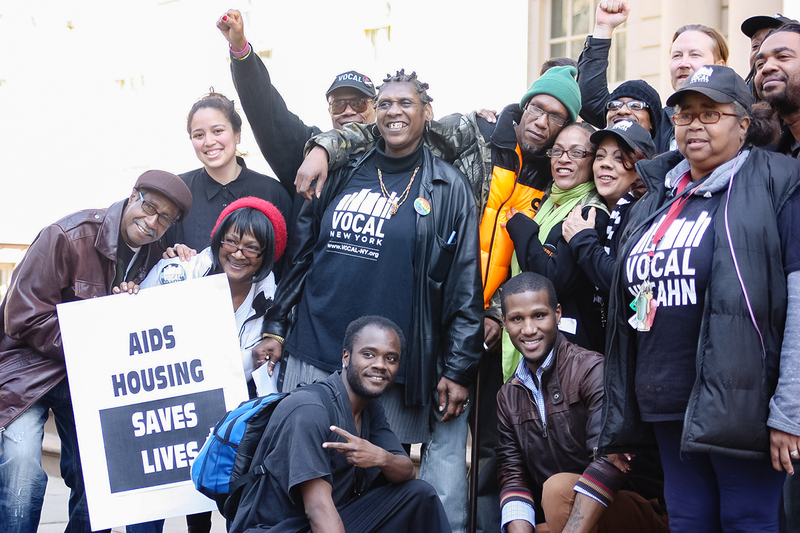 The New York-based organization advocates for access to housing for low-income people with HIV and AIDS. CHAMPAIGN, Ill. — Krannert Art Museum is screening six short films and presenting a panel discussion, with the Art Theater, about AIDS activism for World AIDS Day on Dec. 1. “Alternate Endings, Activist Risings” is a program showing the impact of art on AIDS advocacy. The arts organization Visual AIDS commissioned the six films in the program. The films will be shown worldwide as part of the Day With(out) Art, organized by Visual AIDS to commemorate World AIDS Day and highlighting artists and artwork addressing current issues around the AIDS pandemic. KAM is the only venue in Illinois outside of Chicago to show the films. The films will loop continuously Nov. 30 and Dec. 1 on KAM’s Response Wall in the lower-level lobby. Viewers are encouraged to respond to the films by writing a note and posting it on the wall. The films also will be screened at noon Dec. 1 at the Art Theater, 126 W. Church St., Champaign. After the screening, a panel discussion will include Mike Benner, the executive director of the Greater Community AIDS Project; Kate Donaldson, the sexuality educator and peer education coordinator at McKinley Health Center; Nancy Johnson, the HIV Prevention Program coordinator at the Champaign-Urbana Public Health District; Megan Scoville, the community engagement coordinator at Planned Parenthood Illinois; and Ryan Wade, a University of Illinois professor of social work who researches racism and health disparities among gay and bisexual men of color. Amy Powell, KAM’s curator of modern and contemporary art, will moderate the discussion. The speakers will talk about their reactions to the films and the discussion will allow people to learn about the resources and services that are locally available for people with HIV or AIDS, Powell said. Wade will talk about some of the issues raised in his research. “We’ve seen rates of HIV going down nationally, but there are sub-communities where the rate of HIV infection is going up,” and one of those groups is gay and bisexual black men, he said. This group does not engage in risky behavior at any greater rate – and some research suggests that it actually has lower rates of risky behavior – than other groups, Wade said. He’s found that social and structural factors are part of what’s driving the higher rates of HIV infection among black men. For example, both discrimination against black men in the LGBT community and, on a larger scale, segregation of minority groups in certain areas may contribute to a closed sexual network. The films show a range of activism and focus on the most urgent issues for people living with HIV and AIDS and the most effective strategies for coping and raising awareness, as well as how the art world can be involved, Powell said. Last year, the video program included artworks produced by queer artists of color, while this year they were produced by activist organizations. One of the things both artists and activists are interested in is the role of media images of people living with HIV and AIDS, and how media images can be used to raise awareness, Powell said. The arts and humanities need to be part of the conversation, in addition to social and behavioral sciences, public health and the hard sciences, Wade said. Editor’s notes: The department of gender and women’s studies and the LGBT Resource Center are co-sponsors of the event. More information can be found online or by contacting Julia Nucci Kelly at jkell@illinois.edu.